KINGMAN, Ariz. – This week crews have been working at night in the southbound section and will continue through tonight. Work will switch to daytime hours next week where crews will be working on the mainline and laterals all week. As long as weather cooperates, the contractor is scheduled to patch the trenches in the southbound section the week of April 1. 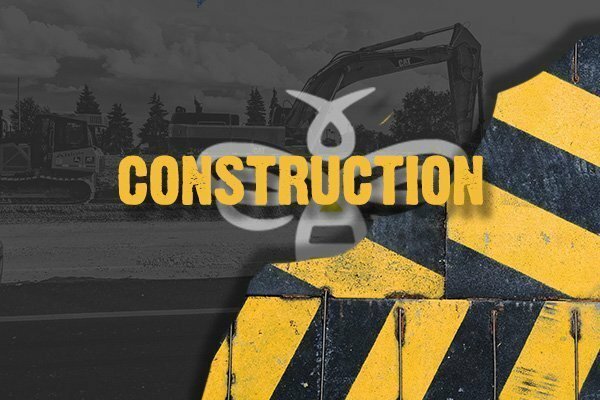 In addition to the above work, crews plan to restrict northbound Stockton Hill Road at Airway Avenue to one lane on Tuesday, March 26, beginning at 7 a.m.; where the northbound outside lane will be restricted in front of the Smith’s grocery store so that crews can install a tap into the existing water system. The restriction will be taken down by 4 p.m.
With some of the storms we have experienced over the last few months, the city has been looking at improving storm water conveyance across Stockton Hill Rd. One area that has been identified is the culvert that crosses Stockton Hill Rd., located about 250-feet south of Hillcrest Dr. In order to take advantage of already mobilized construction crews and to avoid having to cut the street after we repave the road, City Council voted to amend Haydon’s contract to modify the existing culvert to add additional capacity to convey storm flows. Crews plan to start this work beginning the week of April 1, as well. The work is anticipated to take three weeks to complete. Haydon’s plan is to perform the culvert work and the final water line tie-ins concurrently, and to have all work complete next month, with the final paving of Stockton Hill Rd. occurring at the end of April. As a reminder, when the patching is finished, there will be a delay before the waterline project can be finished. The city is required to go through a regulatory approval process with the State of Arizona before we can put the line into service, which may last 2-3 weeks. Once the City gets final approval, we will need to connect businesses to the new system. When this occurs, crews will need to set up traffic control in sections for the work. The actual switchovers will occur during nighttime hours but the traffic control may be up during the day as crews prepare for the work. When it comes time to make the switch, the contractor will coordinate with businesses to make sure there are no water service disruptions. Once all of the switchovers are complete, crews will then mill and overlay all of Stockton Hill Road between Airway Avenue and Gordon Drive, for a nice, smooth ride.